Thread: Z32 Fuel Pump Issue? 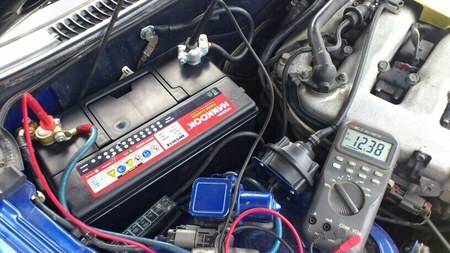 Car drove fine the night before without any problem but the next day it would not start. Cranks but would not start. Tried it a few times and no go. One thing I noticed is i could not hear the fuel pump priming. So I checked my fuel line pressure gauge and no pressure. I checked the FCPU and it was bypassed already. Now is this a fuel pump issue? Is there a way to bench test a fuel pump to find out if it's the issue? Or could it be an ECU issue? Any help in the right direction is appreciated. Check Ecu for codes, check fuel pressure after the filter, check for spark, check and clean ptu/cas connections. No fuel pressure in the on position. I would check for power at the fuel pump. If 12v, then fuel pump is the problem. If no 12 v, then back track at the relays. Finally had time to check voltage at the pump. Yes I do have 13.4 at the fuel pump connector but pump won't prime. I guess my fuel pump took a dump. Now I should probably get a new one... I'm guessing a Walbro 485 would suffice? And leave the FPCU bypassed?